Sometimes, I confess I do dwell on the past, and after completing my first year of graduate school at the University of Washington, I knew I had a difficult choice to make. While I was so overwhelmed that year at UW GSPA, I realized I was doing a disservice to myself and to my amazing professors. I was performing well in each of the classes, but realized I was spending too much money on these graduate classes yet too often missing classes to jet set across the Pacific to Asia. Sometimes I need to write things down in order to affirm I made the right decision for myself. So no more dwelling; here it goes. This junk in Kowloon Bay is an iconic symbol of the city of Hong Kong. In a way, it also represents my years in the 90s as a young writer – an old crickety boat floating among the booming high rises of imposing commerce. Lol. Yup, I very much felt like an old junk in Kowloon Bay. And today, I’ve come full circle, as a freelance technology writer for Northwest Asian Weekly. If you ever decide to become a writer, you can expect to make just enough income to subsist, but experience some amazing, at times perilous life experiences. 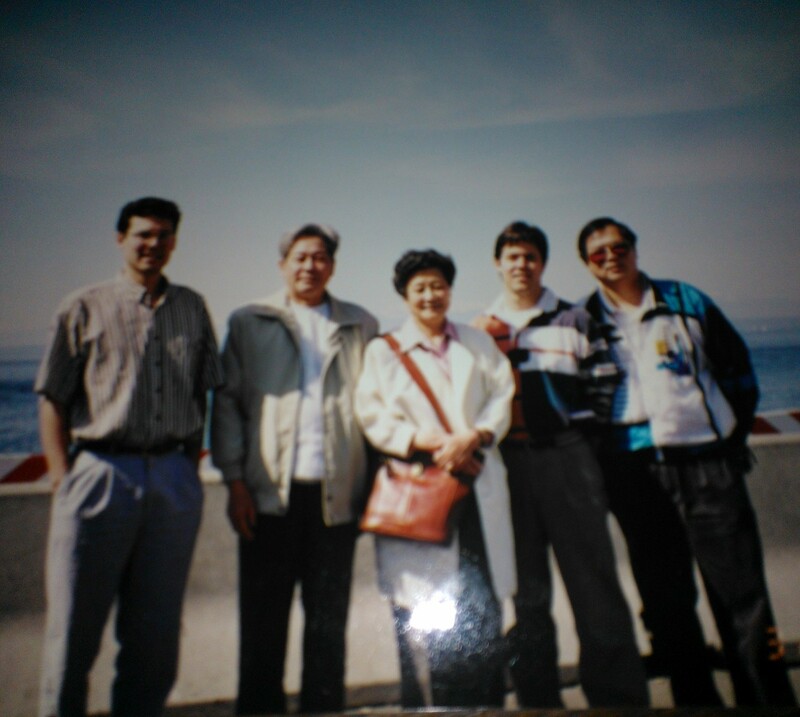 In the 90s, I co-published and wrote for the Asia Pacific Economic Review, which was published by the Asia Pacific Chamber of Commerce, a boutique business organization whose goal was to bridge the gap between U.S. and Asia. 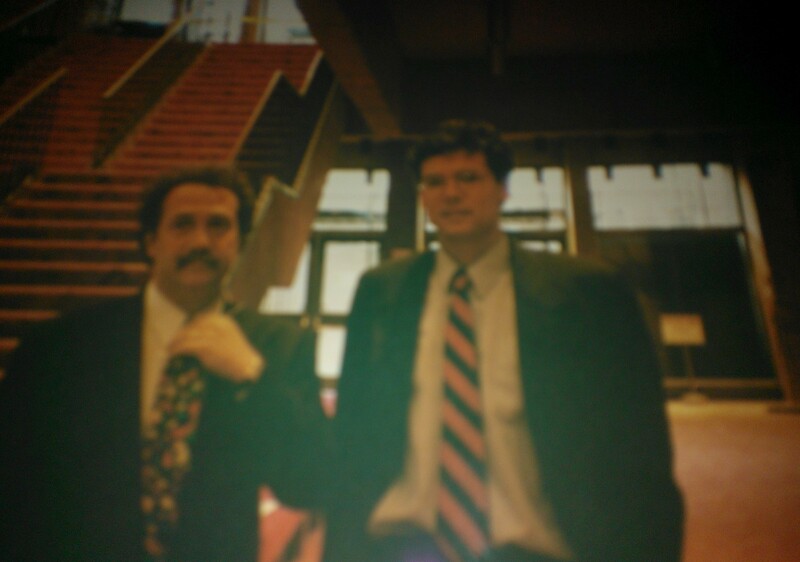 My friend partners at the time were Mick Matsuzawa and Ross Knudson. The memories of those years as a young twenty- something trying to trudge my way through life were magical, and here are a few of those experiences. 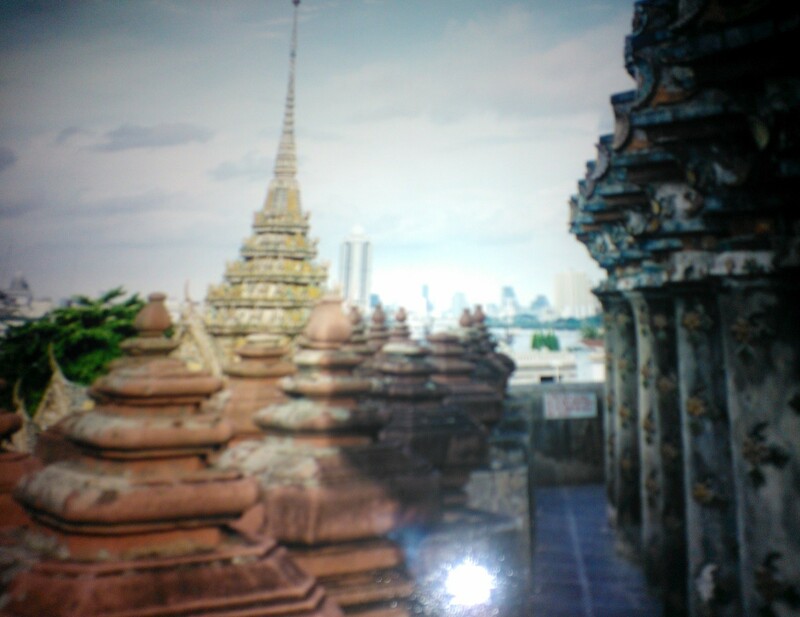 The photos can be poor quality, as I used disposable cameras in remote areas, and I am not much of a photographer. 🙂 Pictured below are Vietnamese Trade Minister Le Van Triet, business leaders from Seattle, and then Washington state Governor Mike Lowry. Asia Pacific Chamber of Commerce hosted VietNam Trade Minister Le Van Triet in Seattle resulting in invitations to Vietnam and two trade missions there. 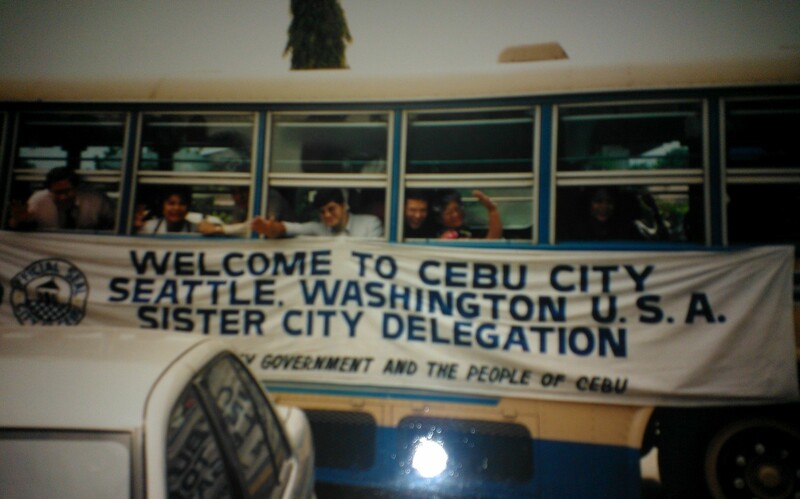 The second visit led to the first American trade mission following President Clinton lifting the trade embargo with Vietnam. Governor Lowry’s office got wind of our mission, raising its profile. The trip included meetings with the Prime Minister of Vietnam and Trade Minister Le Van Triet, the Commerce Secretary of Cambodia, and leaders of the Thailand administration. 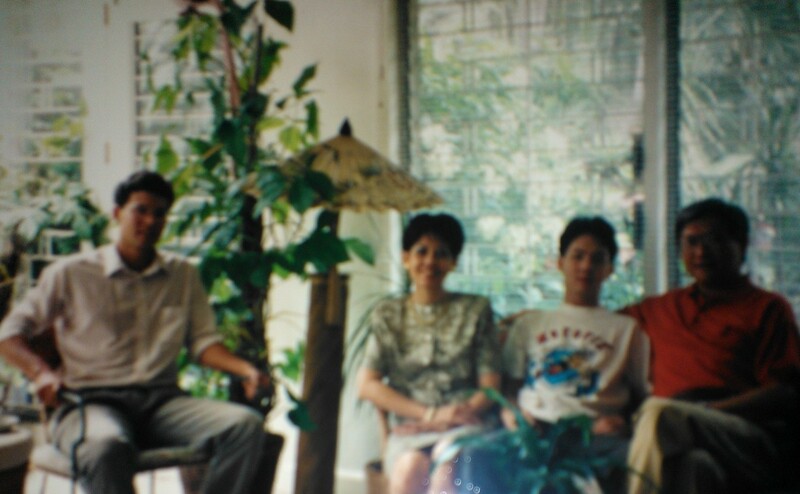 While I was excluded in Thailand, I followed up with the Bunnag family at the International Law Offices of Marut Bunnag. The most extraordinary part of this mission was our visit to the killing fields outside of Phnom Penh, Cambodia. China Supreme Court Justice Zhong Yi Fei visit to Seattle. Justice Fei co-authored China’s original intellectual property laws. There were some productive meetings with Howard Lincoln and Bill Neukom. Piracy protection in China lingers but has much improved. 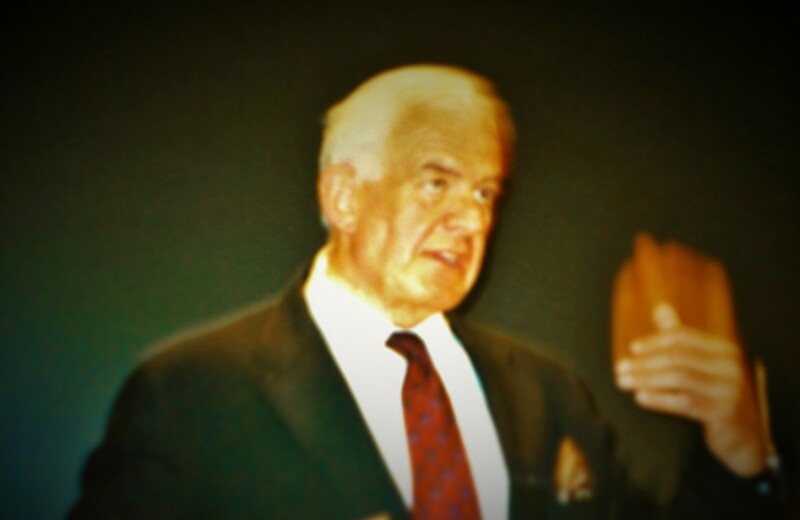 The late Speaker Tom Foley prior to his appointment as Ambassador to Japan. We hosted him at our offices at the Asian Resource Center, Chinatown Seattle. 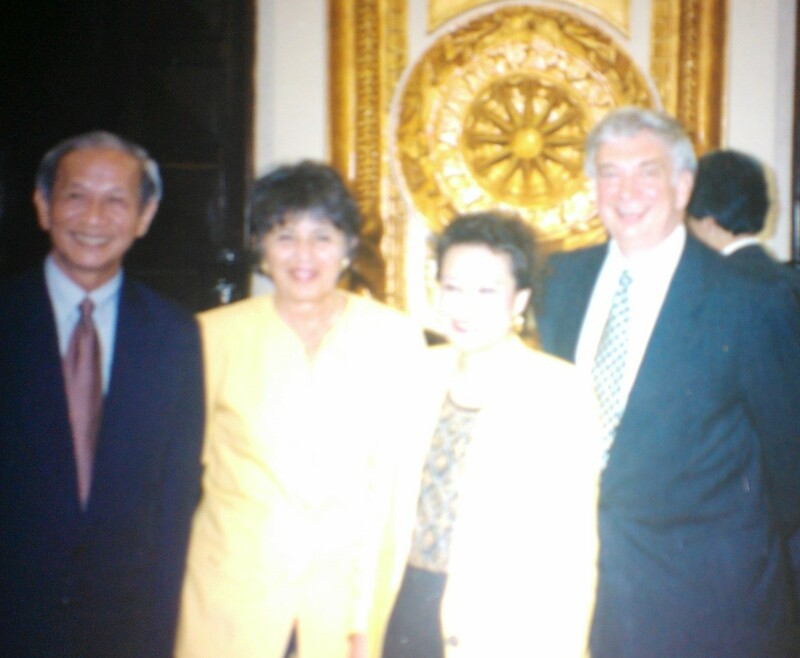 Tom became a good friend and mentor through the years, particularly while the late Ambassador to Japan resided in Tokyo. Side note: While he was featured in Sports Illustrated as an avid weight lifter, as Ambassador, Tom changed his tune to Ju-jitsu training. He loved classical music and loved to share his over 1,000 songs on his iPod. Later that year, we also hosted Adlai Stevenson Jr. at the Asian Resource Center, who authored the creation of the U.S. Export Administration. 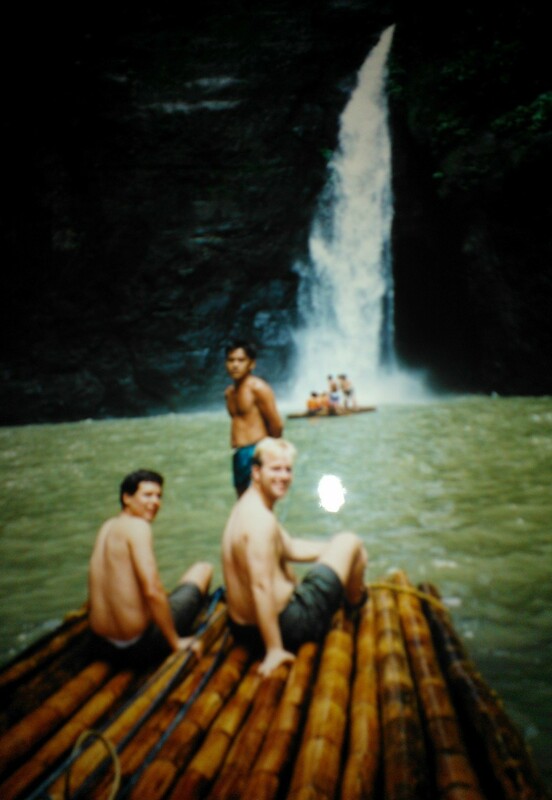 with Seattle friend Don Pickering following a meet up with then President Fidel Ramos; at Pangsanhan Falls and canyon. There is a cave where you can walk behind the falls. Don is now CEO of BluHaptics, a robotics operating systems developer and service provider in Seattle. Travel to Asia included frequent visits to the media capital of Asia, Hong Kong (see top photo). I remain a business acquaintance with the folks at SCMP.com and Kuok Koon Cheng, South China Morning Post, and the Kuok Group. This originated in Tokyo where I attended Jo-Ochi Daigaku (Sophia University). 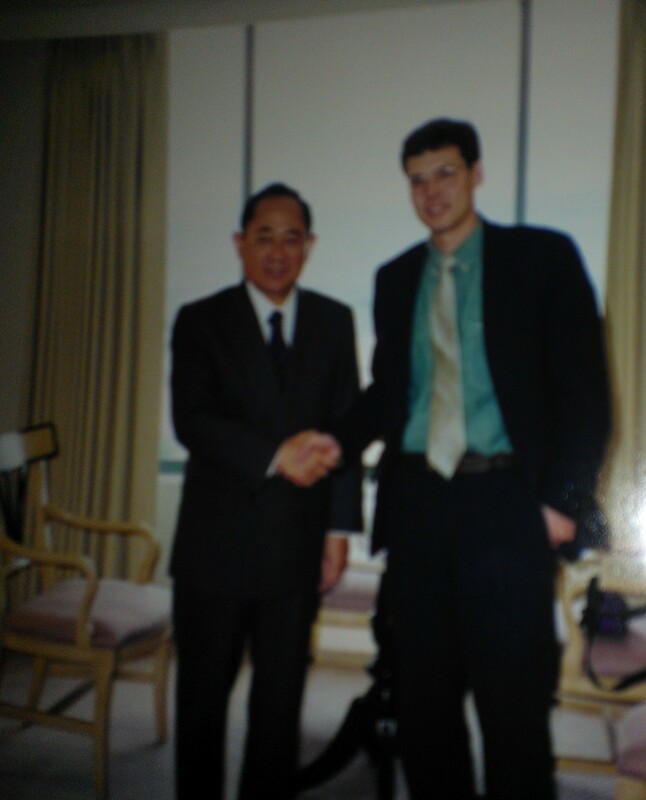 There, I started a long time friendship with Rufo Colayco (who worked his way up to become President of the Kuok Group Properties and Kerry Trading in his younger years). This served me well in my internet days as they both invested in FreeInternet. weekend break following interview with Rujira Bunnag, Law offices of Marut Bunnag, then Speaker of the House, Kingdom of Thailand. 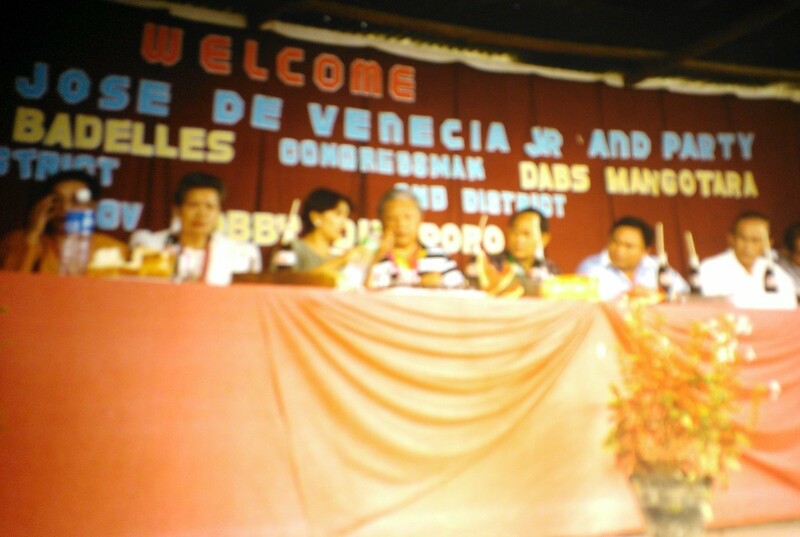 The late Philippines Speaker of the House José De Venecia strikes Mindanao Philippines peace treaty with then Mindanao Governor and Muslim leaders. He convinced then leader of Libya Muammar Kaddafi to stop sending arms to Muslim rebels in Mindanao, and negotiated a delicate compromise between Christians and Muslims in that region. 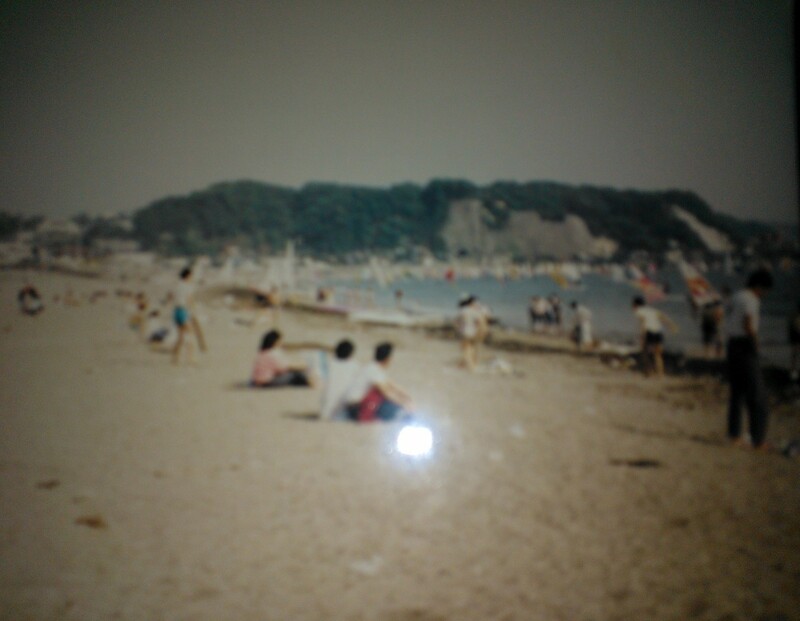 I returned to a bed and breakfast community south of Tokyo and Yokohama where I had lived for a summer as a child – Enoshima Island, Fujisawa, Kansai, Japan during my college spring break, Sophia University (Jo-Ochi Daigaku), 1985. Sea-Tac Airport – The first photo features CD covers of Pearl Jam by Muni One. Mono no aware in Japanese means the awareness of the impermanence of everything, and acceptance of things as they are. The second photo shows samples of the Chihuly glass productions. Where was the Bass Guitar Invented? Bass guitar was originally invented in Seattle native Paul Tutmarc developed this instrument in the early 1930s, although he didn’t receive much recognition or success from it. It became more revolutionary after Fender and Fullerton’s rendition came out shortly after in the 1950s (source: onlyinyourstate.com).